31/10/14. Alqosh, Iraq. 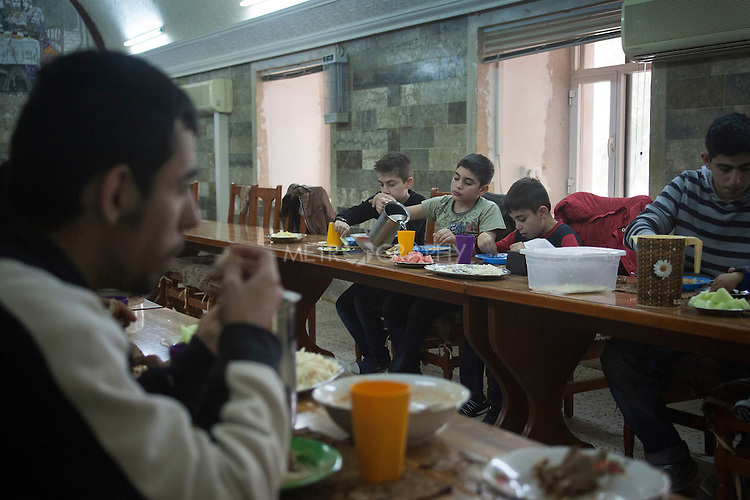 Milad (second right) and Wassam (centre) eat lunch at the monastery.